News TV Channel / CNN International is an international 24-hour English language cable, satellite, IPTV and digital terrestrial television channel that is owned by the Turner Broadcasting System division of Time Warner. 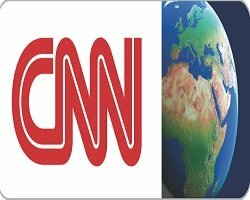 The channel carries news, current affairs, politics, sports, opinions, features and business programming worldwide; it cooperates with parent network CNN's national and international news bureaus. Unlike its sister channel, CNN, a US-only cable TV service which is mostly broadcast from CNN studios at the Time Warner Center in New York City on weekdays and CNN Center in Atlanta, Georgia at the weekend, CNN International is carried on a variety of TV platforms across the world, and mostly broadcast from studios outside the US, in London, Mumbai, Hong Kong and Abu Dhabi.